For most of us when we are looking to buy a house, we start the process with our head and finish with our heart. Luckily, in this part of France, it doesn’t matter which you use; you can safely buy a house here with your heart or your head because it is both a sensible place to invest in property and a wonderful place to live or come on holiday. The Ariège, Haute Garonne and Southern Gers stretch south between Toulouse and the Pyrénées to make up one of the most beautiful and unspoiled regions in France and yet this area still has some of the best-value property you will find. Moreover, the huge range and varied styles of the houses here mean that there really is something for everyone from grand châteaux to village houses and ruined barns, which means that your property dreams are more likely to come true in this region. Of course, different parts of the region have different property markets and corresponding styles and prices. For example, the closer you get to Toulouse, the more expensive the property. Many Toulousains own smart weekend houses 30-40 minutes south of Toulouse and there is also an increasing demand for houses within commutable distance of the international companies around this vibrant city. That said, it is still possible to find a large stone house with a big garden within an hour of the city for around €300,000. As you come further into the countryside, the range of properties increases in almost direct proportion to the decrease in prices and there are still plenty of farmhouses and village houses available for around €200,000. Some are in need of complete restoration but for others a bit of updating would make them into the perfect home. Although much of the Ariège is within an hour of Toulouse, this region still has some of the best value property in the whole of Southern France with prices slightly higher around St Croix Volvestre, Carla Bayle, Betchat, Saint Lizier, le Mas d’Azil and Foix where there is easier access to Toulouse and slightly lower towards the mountains around Saint Girons, Oust and Massat, Castillon en Couserans and Seix, near the ski resort of Guzet Neige. As far as house prices are concerned, the Ariège region, which has historically had a very stable (and incredibly good value) property market is seeing a gradual rise in prices and, in 2010, recorded one of the largest property price rises in France with prices continuing to increase in 2011, albeit at a slower rate, according to the association of Notaires. Which just goes to show that yesterday’s backwater is tomorrow’s hotspot and, while property here is still very affordable, it will not always necessarily remain so. However, property is still extremely good value, particularly for old farms with outbuildings or mountain hideaways, both of which are generally high on the property wish list of people looking for homes in the area. The average price of an old stone, three bedroom house in the Ariège is 125,000 Euros compared to the average price in the Midi-Pyrénées as a whole of 193,000 Euros. It is also still possible (and this will undoubtedly change here as it has done in the Alps) to find a wooden shepherd’s hut in the mountains, minutes away from the ski slopes with stunning views and a sizeable plot for around 50,000-100,000 Euros. Many of these are now being snapped up and turned into luxury ski chalets but that dream of owning a chalet or mountain retreat is still achievable in the Ariège at the moment. There is also no shortage of land in the region and lots of opportunities for living the good life or setting up a new business. Interestingly, the Ariège must be one of the last few remaining areas of France where there is actually a shortage of holiday letting accommodation, particularly close to St-Girons and the mountains, especially for good-quality holiday rentals. 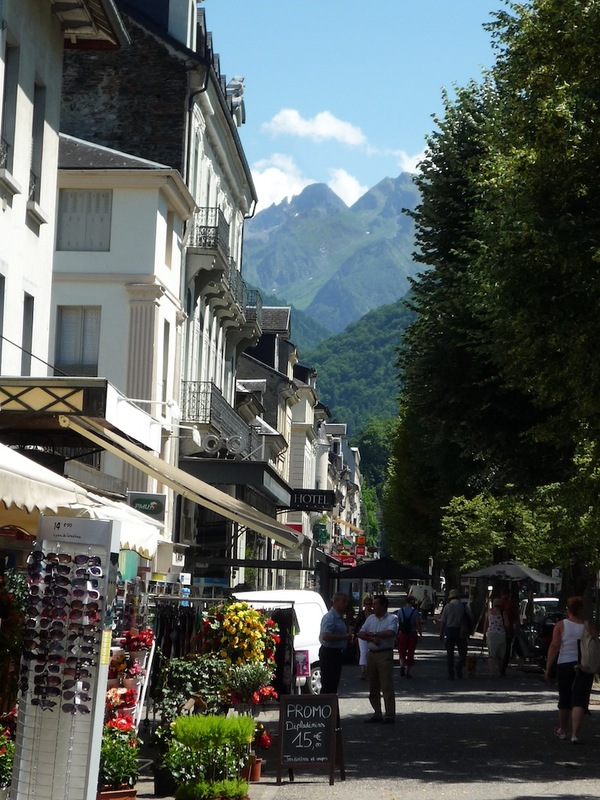 Many foreign people – especially British – are also interested in buying old properties to renovate in the Ariège department and complete renovations are still to be found, which is no longer the case in some areas of the Midi-Pyrénées. The Haute-Garonne department is home to both the bustling metropolis of Toulouse and a rural backdrop of undulating hills and valleys. It is a department of varied landscapes from lush plains to the soaring peaks of the Pyrénées and of history and great architecture including some of the towns classed amongst the most beautiful in France. Particularly sought after places to live are the pretty market towns of Aurignac, Aspet, Salies du Salat, Arbas, Montesquieu-Volvestre as well as the villages around the spectacular and historical town of St Bertrand de Comminges and the lovely spa town of Bagnères de Luchon with its attached ski resort, Superbagnères. The capital of the Haute Garonne and the Midi-Pyrénées region is Toulouse and the Haute Garonne region has seen a substantial increase in property prices over the last few years led by Toulouse, one of the fastest growing cities in Europe, where property is hugely in demand. In 2011 property prices continued to rise at over 5% on average throughout the region. 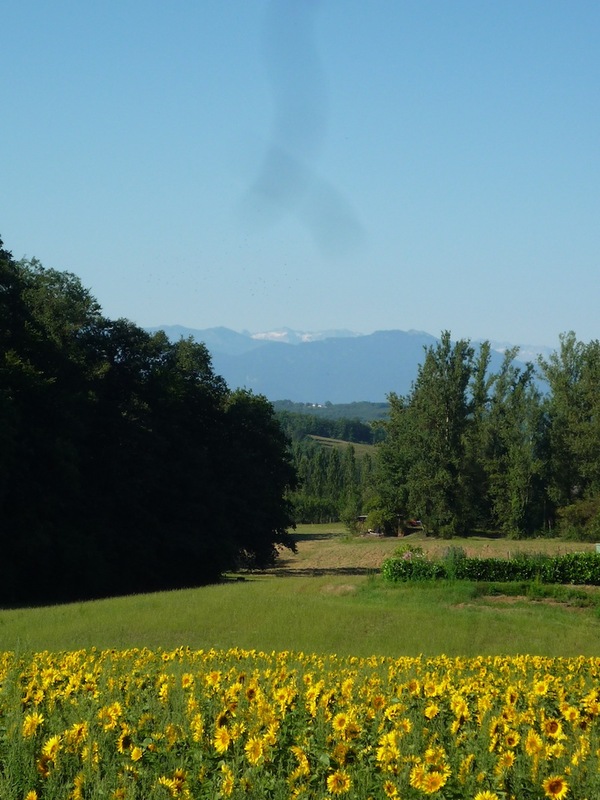 Head south and west of Toulouse however and prices begin to fall so this is a great place to look for good value, beautiful properties, often with land, outbuildings and mountain views but still within easy access of the city. This is an ideal region for foreign buyers with many opportunities whether you are looking to live permanently and work in many of the international businesses around Toulouse, bring up family and make the most of the excellent local and international schools, retire in a region full of lively communities or run a gîte or bed and breakfast business, everything is possible and stunning landscapes come as standard. Along with this, there is a large range of lovely character properties at affordable prices. The average price of an old, three-bedroom stone house in the Haute Garonne is 251,500 Euros compared to 193,000 Euros in the Midi-Pyrénées in general – however this is skewed by the higher property prices in central Toulouse. 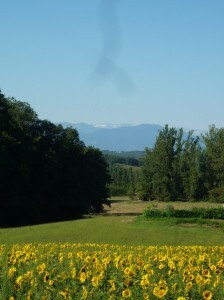 The Gers is one of the least populated departments in France and, as a result, property prices have remained stable and affordable. Moreover, this is a part of France which is known for its beautiful stone houses in traditional French style and pretty Bastide villages and the southern Gers offers particularly good value for money as well as being less developed than the northern part of the region. The average price of an old, three-bedroom stone house in the Southern Gers is 154,500 Euros compared to an average of 193,000 Euros for the Midi-Pyrénées region in general and it is in this region that I am finding I am able to get the best deals for my clients right now. There are also a huge variety of property styles from beautiful Châteaux to pretty village houses. A little-known fact is that the Gers has the highest number of Châteaux of any department in France. Early examples were primarily defensive while later examples, from the 16th Century onwards, were built more for comfort and as a sign of wealth. Many of these Châteaux change hands in the region for a fraction of the price of those in other parts of France so, here at least, making your home your castle really is possible. Another important consideration when deciding on a location is the access and transport links and, in this region, these are excellent. Toulouse International Airport is set just outside the western side of the city and receives direct flights from across the UK and worldwide, making it the easiest entry point for the Haute-Garonne, Ariège and Gers. British Airways flies to Toulouse from Heathrow four times a day; EasyJet runs services from London Gatwick and Bristol. CityJet flies direct from London City Airport to Pau and Jet2 flies from Manchester, Leeds, Newcastle and Edinburgh to Toulouse. For Ryanair, Tarbes airport is about 60-90 minutes from the region and Carcassonne within two hours. KLM has numerous flights to Schipol and Air France goes all over the world from Toulouse and has also just launched a low-cost operation from the airport which is proving very popular. If you would prefer not to fly, there are many train services to and from Toulouse and by 2020 there will be a TGV line from Toulouse to Paris bringing the Capital to within three hours by train. Road access is also excellent with most of the region a ten hour drive from Calais and a fast new motorway now open from Bordeaux to Pau opening up the region to the West coast and ports. This is an area that really does have it all from rich culture, history, natural wonders, stunning landscapes, mountains, lakes, rivers and valleys, and gastronomic excellence all set against a backdrop of stunning snow-capped mountains, with Spain also within striking distance. Skiing is easily accessible from all parts of the region and both the Mediterranean and Atlantic coasts are an easy day-trip. With 2,000 hours of sunshine on average per year, this is also one of France’s sunniest regions. And the area is seeing huge investment thanks to the fast growing industries in Toulouse as well as the new Canceropole, the largest Cancer hospital in Europe and one of the largest universities. Hence, in terms of buying a property either for an investment, a holiday house or a permanent home, there is no doubt in my mind that this region is a very safe bet.